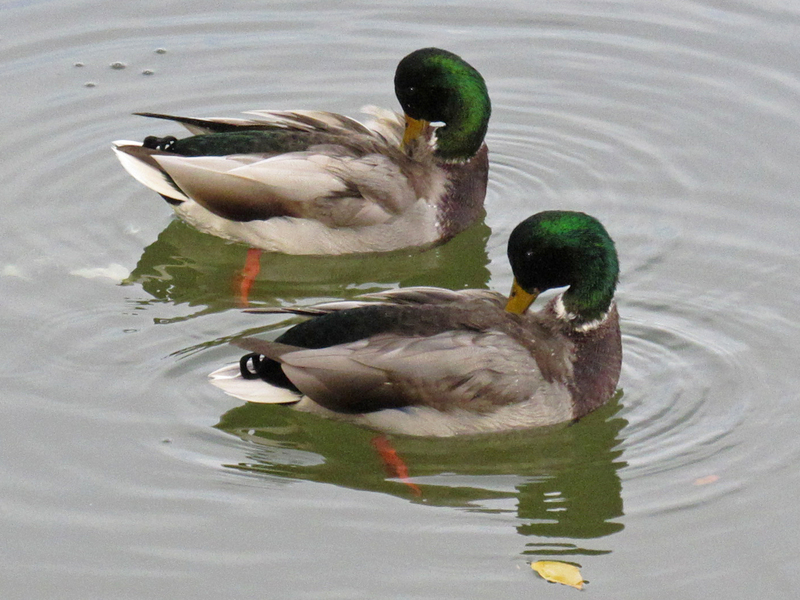 Two male Mallards on North Saskatchewan River. October 14, 2018. Henrietta Muir Edwards Park, Edmonton, Alberta.